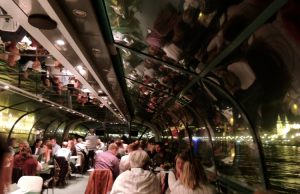 Celebrate Christmas Eve in Budapest with a festive Xmas themed Dinner Cruise with Live music. 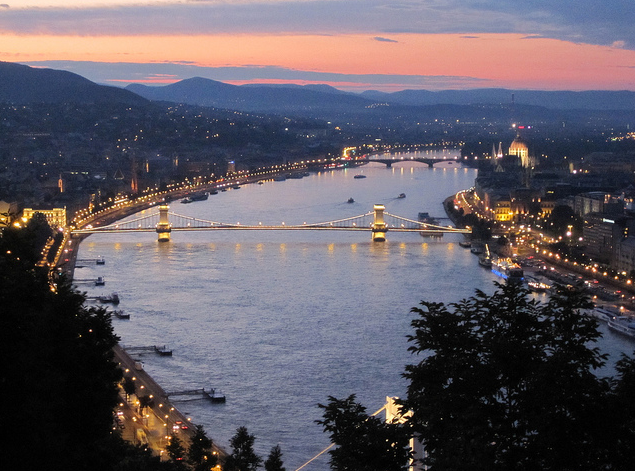 The cruise is a highlight of winter holidays spent in Budapest with sights of the UNESCO World Heritage, live entertainment, and delicious meals in an otherwise quiet evening in Budapest (Christmas Eve is traditionally a family event and most places close at 4 pm). You can choose from two kinds of dinner cruise programs. Book while you can, December 24 is almost here! 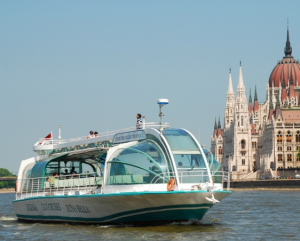 7 pm A La Carte Dinner Cruise in Budapest: Candlelit dinner cruise on Danube Legenda Boat in Budapest city. 2.5 hour cruise with servers, a la carte menu, live music. The perfect romantic candlelit dinner option for couples, favorite of friends and companies. Daily dinner cruise including Christmas, New Year’s Evening, New Year’s Day, Easter. Except on Dec 24 and Aug 20. From Nov to Feb the cruise starts at 7pm. 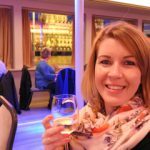 7.30 pm Served Dinner Cruise with Piano Music: the cruise offers 4 options for the main courses (fish, beef, duck and vegetarian), but the starter, soup and dessert are set. The cruise leaves daily, including December 24, 25 and 26. Special cruises are scheduled for August 20 (Fireworks Cruise) and December 31 (New Year’s Eve Cruise). The recently built Nimrod panorama catamaran offers a great experience during the 3 hour cruise. You can shorten your cruise to 1.5 hour (the price is the same). 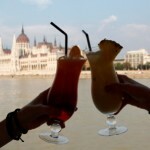 7 pm Budapest Evening Cruise with Gypsy Music 2 hour cruise on Danube & all inclusive Buffet Style Dinner. Salon music in background by award winning Hungarian Gypsy band. Daily dinner cruise except for Christmas Eve, New Year, St Stephen’s Day. 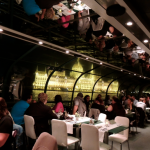 10 pm Late Night Cruise Budapest (see below), 1.5 hour cruise on Danube and optional Buffet style Dinner (also available with Hungarian Folk Dance package deal). The late night dinner cruise is only available on certain days in the winter period. Please check the calendar in the booking form for available dates. Note: The dinner cruise can be booked with dinner, and without dinner, with adult, and with children / student prices. Book your dinner cruise now to avoid overbooked cruises. Picture the fairy tale riverfront of Budapest you will see during your dinner cruise: the two banks of the river Danube are spotted with brightly lit churches, the Buda Castle on the Castle Hill, the neo-Gothic turrets of the Hungarian Parliament, the palm leaved Statue of Liberty on the Gellert Hill, the cupolas of the Art Nouveau Gellert Baths, the elegant curves of the Gresham Palace (Fours Seasons Hotel) and the soaring domes of the majestic St Stephens Basilica behind them. 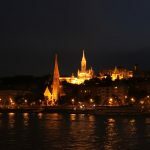 You will be cruising in one of the UNESCO World Heritage sites with us, and one of the twinkling treasure boxes of the river Danube. 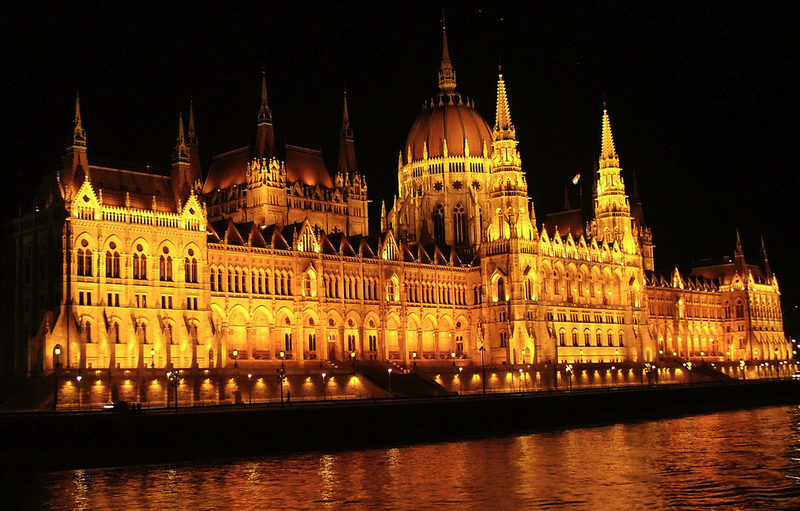 Budapest night views are charmingly romantic and breathtakingly beautiful as the city illuminates at night. Besides romance, the city is full of history, and telling tales of the faded glory, traces of the communist past. So your less romantic and more intellectual side can contemplate on the history of a nation, and of human fragility. But fate is the source of true beauty, isn’t it? Hi, we are a family of 5 adults plus an infant of 1 year old. 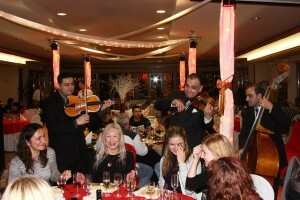 We are interested in the Christmas piano diner at 83€ p/p. We would like to know if you accept child this age on board? If yes how can we book and secure a window table. Unfortunately the minimum age on the Christmas Eve Cruise & Piano program is 6. Thank you for your kind understanding. Is the minimum age also 6 years for day cruises or just for the Christmas Eve Dinner?